Car fire in Bangor | News by Wales Express News, People Before Profit! 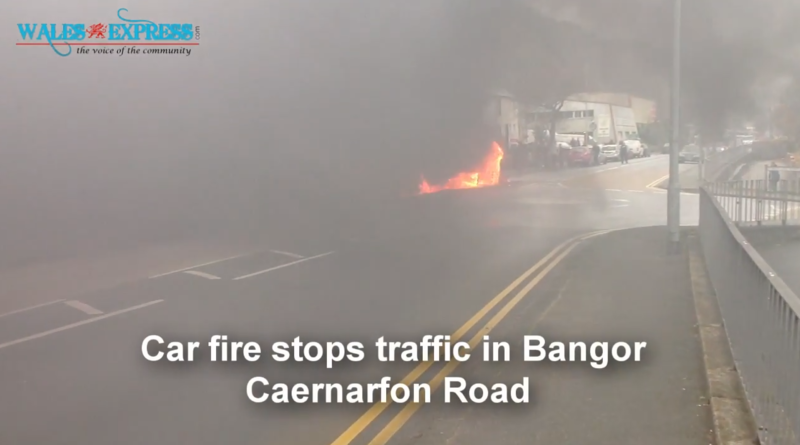 Car fire in Bangor brought traffic to a standstill in Bangor, North Wales today. The car was engulfed in flames at around midday today at Caernarfon Road in the city. A crash had occurred between the car and a motorcyclist, and the car caught fire after the crash. The motorcyclist was taken to hospital with minor injuries. Two fire engines, an ambulance and four police cars were in attendance. Traffic was stopped and diverted by police.